Holi is one of the major and most fabulous festivals of India. it is celebrated in all around the country of India. it is the festival which is can not be complete with the playing of colors by the people. It is the festival of colors so during that time there are most of the people engages with gathering of colors in earlier day of this festival. It is the festival which is also a celebration of the season of spring. It is the time when new flowers spread out their beautiful smell in the air. There are some of the scraps and codes related to the festival of Holi or festival of colors. Though, Holi is the festival of joy and enthusiasm so during that time people shares their feelings through images, pictures of colors, greetings, scraps and much more there are some of the Holi scraps as following. “Bright colors, water balloons, lavish gujiyas and melodious songs are the ingredients of perfect Holi. 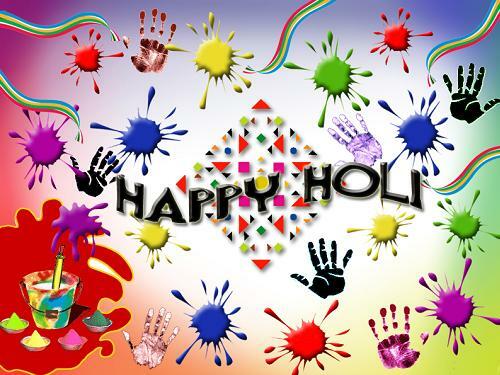 Wish you a very happy and wonderful Holi”.